“Leave Broga Alone”! This was a message delivered to the BN government 7 years ago. 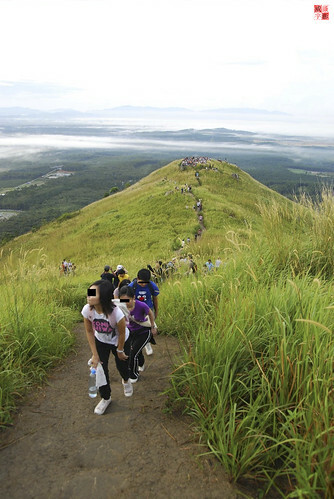 Broga is a small town that straddles the border of Selangor and Negeri Sembilan. The place was widely made known to the public, when the Malaysian Government proposed a RM1.5 billion incinerator to be build there, back in 2002. Since then, the residents in the surrounding Semenyih area have been protesting against the federal government to scrape off the mega project. 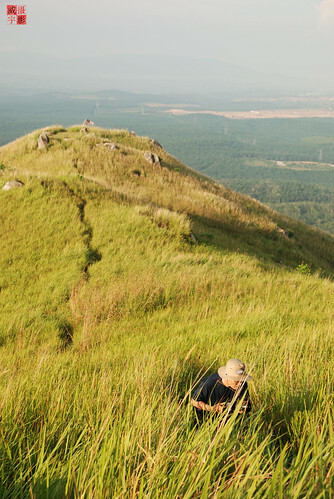 In June 2008, I followed my gang to hike Broga Hill, a reef knoll full of wild reeds (known as lalang in Malay), situated some 1km from Broga Town. It was an easy trail for beginners. 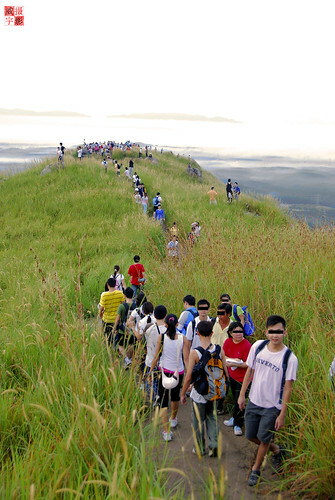 Journey from the foot hill to the 2nd peak (3 peaks in total) takes around 1 hour leisurely. It was a great hiking trip and the rest was history. You can view my Broga Photoset taken back in 2008 here. 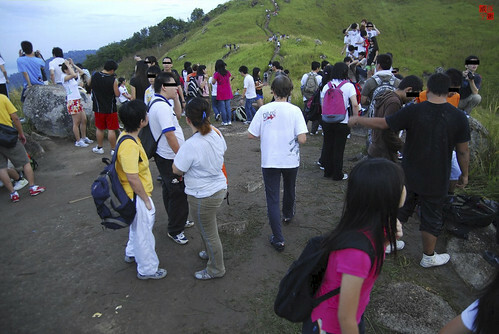 In December 2009, I went back to Broga Hill with my colleagues. To my surprise, now it looks more like a tourist attraction than a hiker’s heaven! It’s like a night market now for god sake! 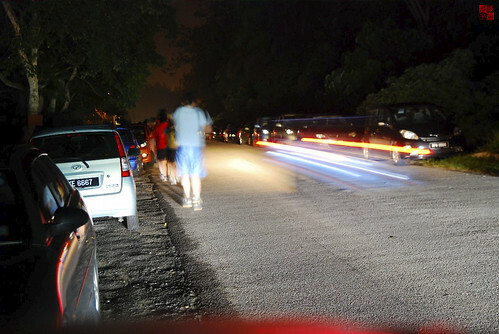 By 6am, there are already 2 rows of cars parked by the roadside, stretching for at least 200 meters. 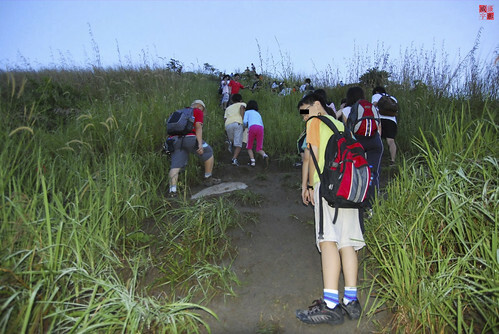 By 7am, people “invading” along the trail to the 1st peak. By 7.30am, 1st peak conquered and a few hundreds heading up to 2nd peak. By 8am, people still coming up the hill! Click here to see my 2009 Broga Photoset. This entry was posted in Blog, Nature and tagged Broga, Hiking, Photography. Bookmark the permalink.